Dominion Lending Centres (DLC) founders Gary Mauris and Chris Kayat have announced a letter of intent to retake control of their company, of which they sold a majority stake in 2016. If the deal goes through as expected, the two co-founders, along with other DLC principals, would have a 56% stake in the holding company, Founders Advantage Capital Corp (FA), which would own 100% of DLC and 3 other companies. They controlled 40% of DLC and 15% of FA previously. Mauris will be FA’s CEO simultaneously with his role as CEO of the Dominion Lending Centres Group of Companies. He told us that FA agreed to this deal because it will add “substantial EBITDA” and because DLC is the company’s “highest performing business.” The stock price was also significantly under book value (an opportune time for Mauris and Kayat to become more invested) with FA’s leadership unable to turn the tide. Speaking of FA’s stock, it’s not been a good news story. The share price (symbol: FCF) has been downtrending for over two years, ever since it bought DLC. And its CFO is leaving Sept. 30. That downtrend is despite DLC growing its annual consolidated EBITDA from $14.6 million at the time of the FA transaction to more than $20.0 million for the trailing 12-month period ended June 30, 2018. It’s not coincidental that this deal was done with FA’s shares languishing at $1.65. Knowing Mauris as I do, he is a winner who builds—not destroys—companies. Unfortunately, the company has faced headwinds (regulatory tightening, online competition, margin pressure, bigger bank sales forces, etc.) since being bought—headwinds that even the most skilled leader would find challenging. DLC is back in the driver’s seat. Mauris and Kayat, clearly upset by the stock performance, want to make their 44+ million shares worth something. They got a nice payday for selling in 2016, but now it’s time to protect their legacy and net worth. And the best part for them is, they have an opportunity to reinvest at today’s low share price and eventually sell all over again. There’s a race to arm brokers with cutting-edge digital mortgage technology—before direct-to-consumer lenders and online aggregators beat them to the punch. We saw that yesterday with rival M3 Group’s announcement that it’s launching a new division (M3 Tech) to create consumer-facing mortgage tech-like application/fulfillment automation and artificial intelligence. Like its peer, M3 Group, DLC has just hired a Chief Technology Officer. DLC, like M3, is investing heavily in workflow and document automation, Artificial Intelligence and lead generation. And good tech is not cheap. First, it now has a more committed financier in Sagard, a Power Financial company aligned with the FA. Sagard is being incentivized with $1.8 million more stock warrants and a significantly lower strike price. 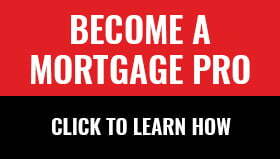 Canada’s mortgage broker industry is in the consolidation phase. That’s key because “they (FA) want us to make acquisitions in the Canadian mortgage space,” says Mauris. To compete with that, DLC will bolster its own broker ranks, something it’s been extremely good at. Being a public company and having Sagard’s credit facility gives it ample capital to execute, Mauris says. Could that mean FA might buy Mauris’s and Kayat’s Insureline business? strong analysis and spot on insights. once again more or less the only in depth, take us through the next steps news and commentary voice we have in this broker business. How long until M3 buys DLC (FA Capital)? Brilliant move by Gary and Chris.